Birds are chirping. The flowers are blooming. The weather is getting warmer and the pollen is everywhere. The days are longer and everything just feels fresh and alive! 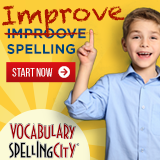 Homeschooling is chugging along and perhaps you’ve taken a spring break or maybe you’re peering ahead to end of year testing, celebrations or a wrapping up co-op and classes. And then it hits you. It might start as an itch. Maybe it’s a friend who drops a comment while at co-op or your favorite homeschooling Instagramer posts a beautiful picture. Perhaps a homeschool podcaster brings up the subject or you attend a spring homeschooling conference and are inundated with ALL THE CHOICES. 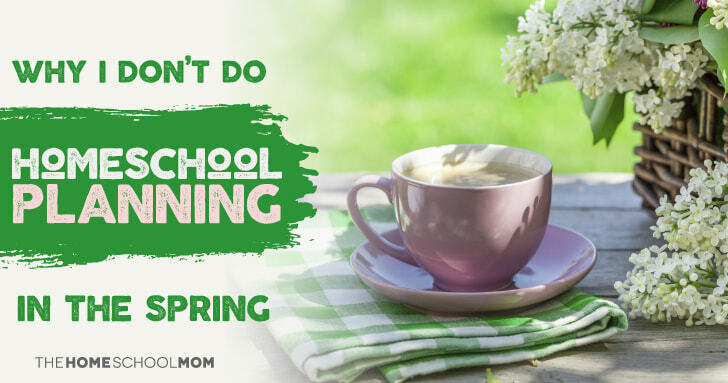 Yes, I’m talking about homeschool planning—specifically homeschooling planning in SPRING. I recently shared on Instagram that I don’t do any homeschooling planning in spring. It felt scary to admit this. I wondered if my “Homeschool Mom” card would be revoked. How could I possibly NOT plan for the next school year in spring. Is it because I’m lazy? Too tired? Too overwhelmed? Not a planner? It might be a little of all of these things, but the real reason is because I truly want to stay present with my kids. I want to enjoy and explore what we’re learning today or this week or this season. I don’t want to rush away the entire spring studying and prepping for the fall. When I first started homeschooling, I was ALL about the planning. I would research EVERYTHING to nth degree. I almost broke our printer one summer printing out everything I could find about Charlotte Mason and Ambleside Online. I was pumped. We were going all in on Charlotte Mason—100 percent, friends. It was May and I was feeling awesome about everything. Fall came around, and can you guess what happened? My kids, who were young elementary age at the time, were not thriving with our newly rigid schedule. I was not feeling awesome about our choices because I tend to want to tweak everything and go with the flow. That’s not to say you cannot do that with Charlotte Mason or Ambleside Online, but I kept feeling behind. I was also frustrated that I spent so much time planning, planning and more planning only to realize that perhaps I cared more about the curriculum than what would actually work for my family. I wish I could say that I learned my lesson after this one time, but no. A few years later I jumped the gun and ordered a HUGE box of curricula one late spring day when I was feeling like we needed to buckle down and get serious about homeschooling. As if what we had been doing for a few years didn’t count or wasn’t true homeschooling—whatever that means. I vowed to myself that I would save my time, my money, and my sanity and hold off on homeschooling planning until after we had finished up our current year, completed testing (required by my state) and at least a month off for a summer break. The past couple of years, spring homeschooling has been so much better for us. We tend to lean more towards unschooling once the weather becomes consistently better and the kids are ready to tackle new projects. Last spring, my twins spent nearly four weeks studying Shark Tank. This is something that I couldn’t have planned for because it happened naturally, born out of their shared interest in business. In spring, we also tweak what we’re currently doing so that we can finish strong without throwing everything out the window. For example, when we came back from our recent spring break, my twins shared with me that they were not loving our current program that covers history, geography, science and art. I was a bit disheartened. We had successfully completed eight units covering a variety of medieval history topics, countries and science and art topics that were all new to us. On the other hand, my teen shared that he was actually enjoying it and wanted to keep going. Because I am committed to remaining in the present season, my brain wasn’t jumping ahead to what we’d need to be covering come late summer. Instead, my girl twin decided to pick a few of our Layers of Learning unit studies and just work on several of the pre-planned assignments and projects included in the guides. She also asked if she could create her own country project. Of course I said YES! Her twin brother, on the other hand, put together his own American history studies with a few books, a notebook, and some videos. My oldest was happy to continue on as is and simply asked me to just write out the assignments for him on his white board. In spring, we also circle back around to review some things that might be on their end-of-year tests. We don’t go overly crazy about anything, but we brush up a bit, review a bit and I make 26 notes for myself to buy pencils because for some reason we never actually have any in the house. We take more homeschool field trips, head to the park with friends, do projects, or read outside on our deck. The twins will pitch a tent in the yard and work in there with some snacks and games. I spend my time enjoying what’s in front of me. I spend my time tending to my spring self and my spring soul. I spend time outside in the morning sipping tea and journaling or just standing in the sunshine. I get out for more walks. I send the kids outside in between subjects or projects. I say yes to more outdoor adventures. This doesn’t mean that I don’t care about planning or that I am never thinking ahead to what’s next. I am. In fact, I just texted with a friend about a homeschooling curriculum that looks positively awesome but I told myself I won’t make any decisions at all until we’ve finished up what’s right in front of us. And this works for me and my family and our homeschool right now. I’ve come to honor myself and to really get to know how I best function so that I can support my kids and meet them where they are right now. Because I know my kids, I know their interests can change and life can change and that the one shiny homeschool curriculum I see right now might not actually be what’s best for us once I’ve taken a deep breath and had a month or two off from homeschooling. 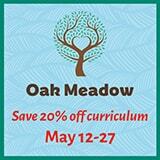 So, yes, I don’t do homeschooling planning in the spring and it’s all good. If you need me, I’ll be on my deck with an iced-tea and a book. Did School Happen Here Today? Vanessa is a homeschooling mama to three inquisitive, creative and often loud kids ages 13, 11, and 11. She is married to Jason and they live in the Raleigh, North Carolina area. Vanessa is a self-professed eco-beauty junkie, avid reader, yogi-wannabe, tea drinker and chocolate snob. You can find her on Instagram at @Wrightathomeschool and on Facebook at Wright at Homeschool where she’s keeping the REAL in homeschool reality. « Ask Jeanne: Do I Need Teacher Training to Homeschool? i feel ya- this is us this year- I have an idea what SHOULD be covered next year, but because my 12 yr old is a yr ahead in most subjects, i’m hesitant to move her too far ahead (ie tackling algebra in 7th grade! ), we changed course mid yr on some curriculum, and I think a group huddle and rethink is needed for next yr. It’s funny as I have most of her high school curriculum ready, as we already talked about it! LOL. It is hard with all the sales to just say NO…. And every family is so different and has different needs. I totally understand the sales. I have learned to say NO, for the most party. Happy Spring!